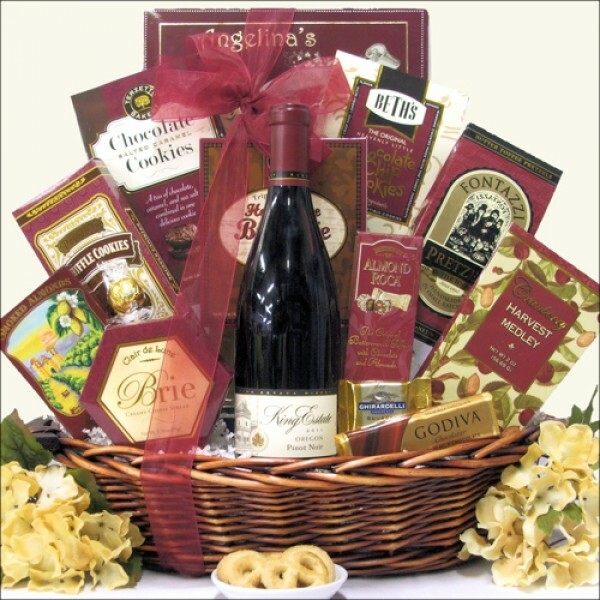 Make a lasting impression with this elegant and traditional wine gift basket. 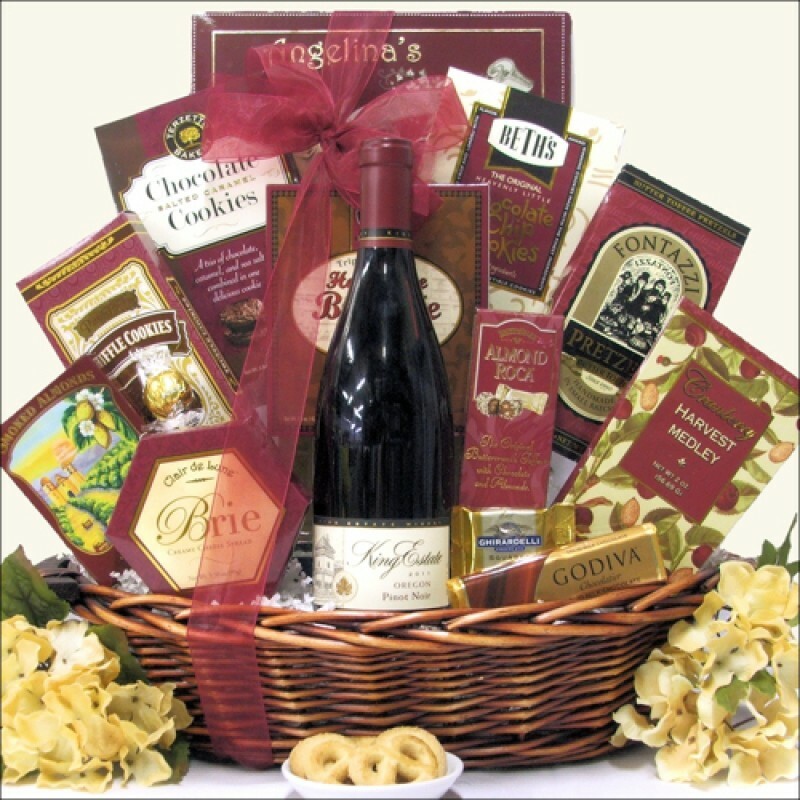 The King Estates Signature Pinot Noir is a luscious premium wine from the foothills of Oregon and is paired with a wonderful selection of Cheese, Crackers, Snacks, Chocolate, Cookies and Candy. A perfect gift choice for any occasion that they will enjoy for days. ...Oval Brown Stained Gift Basket with Side Handles.